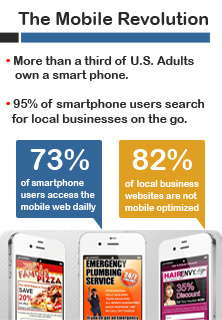 FACT: Loads of potential clients are looking up your business on their mobile phones and chances are your site is turning them away! 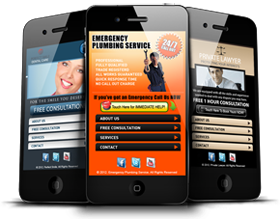 We can have your Tap-to-Call Mobile Marketing Landing Page and/or Multi-page Mobile Website up and running for you within days. 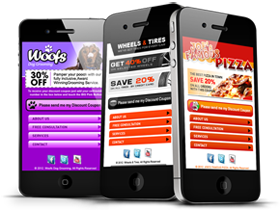 Our mobile websites feature Tap-to-Call and Tap-to-Email technology and optional SMS/Text Messaging to send your customers special offers. 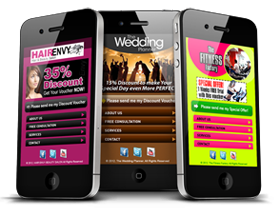 They can also be infused with Facebook and Twitter for greatly enhanced viral marketing effect. Or if you want a power nuke effect, all of the above. If you require any further assistance, please contact us using the Tap2Call button below. Live portfolio is available upon request. CLICK HERE to go back to the regular page. Website in Collaboration with Kowalski Enterprises.